Do you have a kid who is afraid to visit the dentist? Are you concerned about your child’s dental care? Treating your kids to the most compatible kind of oral treatment might be more of a task than it seems. With kids being more exposed to sweets and junk food, there is a greater risk to their teeth than meets the eye. Also, if your kid is a toddler, you might be uncertain about the type of dental care you need to provide them. Worry no more. We, at Seattle’s Family Dentistry, cater to your family’s dental care needs under one roof. Our in-house kids dentist is one of the best in the industry and specializes in treating all kinds of kids’ dental health. We understand how visiting a dentist can be a traumatic experience for a child and thus keep a friendly and informal approach. If you are from the areas of Ballard WA, Fremont WA, Greenwood WA, Northgate WA, Seattle, or Shoreline, you can reach out to us. Here we have put together a few reasons why you need to take your kid to the dentist. Take a look. Kids are likely to develop symptoms of tooth decay and infections if their teeth and gums are not checked regularly. Cavities and tooth decays are quite common in kids. It is always recommended to visit the dentist who can examine your kid’s oral problems and nip them in the bud before it is too late. Although it is a common practice to inculcate regular brushing habits in a kid, sometimes it does not solve all problems. A dentist is the best person who can prescribe the types of oral hygiene that is suitable for your kid. 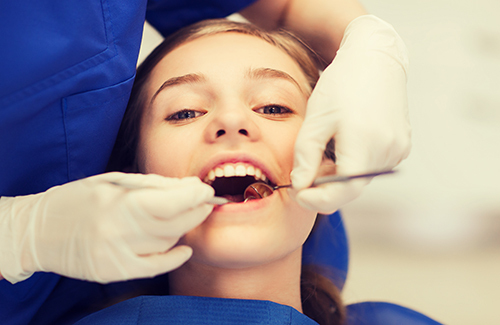 Also, early signs of tartar, crooked tooth, and early loss of baby teeth can be treated professionally. Visiting a doctor regularly will save you all kinds of trouble in the future. So, if you want to take care of your child’s oral hygiene, call us at 206-823-0250. Copyright © 2019, Seattle's Family Dentistry. All Rights Reserved. Website By American Creative.